Aero Precision 308AR OEM Rifle – As I have previously mentioned on our AR15 sites I really like the concept of these Aero Precision OEM rifles. They consist of completely assembled rifles without a sights, buttstock and handguard at a cost savings greater than the sum of the omitted parts. Basically we are not forced to buy parts we never use. 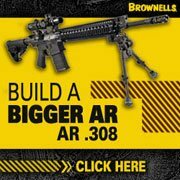 Well today I decided it was time to see what was going on at our best supporter Brownells and low and behold they have a ” Brownells Exclusive” Aero Precision 308 AR OEM rifle. 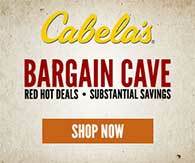 Priced right about the price of the no frills least expensive 308AR rifles from other manufacturers. In my opinion the Aero Precision 308AR OEM Rifle is a better quality value. The Aero Precision 308AR OEM Rifle is not available directly from Aero Precision and is currently available as a preorder from Brownells. Any visitors purchasing one of these please join the forum and share your build results and pictures with the group. Receivers – Forged 7075 T6 Aluminum Receivers. 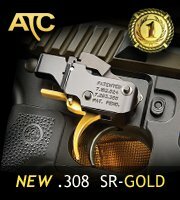 Lower Receiver includes flared magazine well and upper tension screw to remove upper/lower play. Finish – Matte black hard anodized. Bolt Carrier Group – 9310 Bolt, 8620 Carrier and mil-spec components. Bolt is High Pressure Tested, Magnetic Particle Inspected and shot-peened. Bolt Carrier Group Finish – Phosphate with chrome lined carrier & gas key. Barrel – Chambered in 308 Winchester (accepts 7.62x51mm NATO). 1-10 Twist. Profile – tapered. Gas System – Rifle length with installed gas block and tube. Barrel Threads – 5/8-24 barrel thread pitch includes an installed A2 flash hider. Barrel Finish – QPQ nitride. Receiver Extension – Mil-Spec diameter buffer tube assembly with carbine buffer.